Overview and Concept, the atl flow process and elements. The process model contains the elements you use to define your transformation flow. The basic elements are artifacts, generators and calls. The artifact has an uri and a name. So it could represent any kind of resource, like a file, a directory, a network location. A model is a specialize kind of artifact, it can conform to a meta model. Meta models have a handler tighten them to a MOF. ATL specific resource are the AtlRes and the AtlLibary these are local files. An atl transformation can have severals superimposed atl transformations. Generators and Calls are function elements, they use artifacts and can produce artifacts. And they are callables, the can be linked together by the next feature. These are the basic building blocks. Models have to conform to meta models. 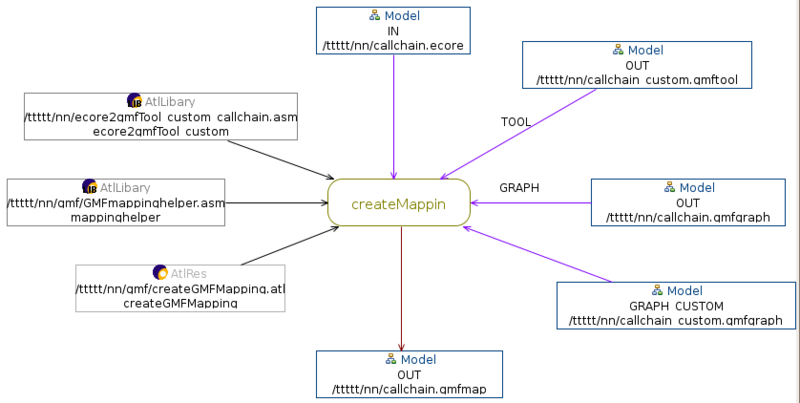 And the meta model has a handler which defines and handles the MOF. This describes the call, what is done with all these things. A call and a generator has the capability to produce artifacts. There are also callable, so they can be chained via the next feature. 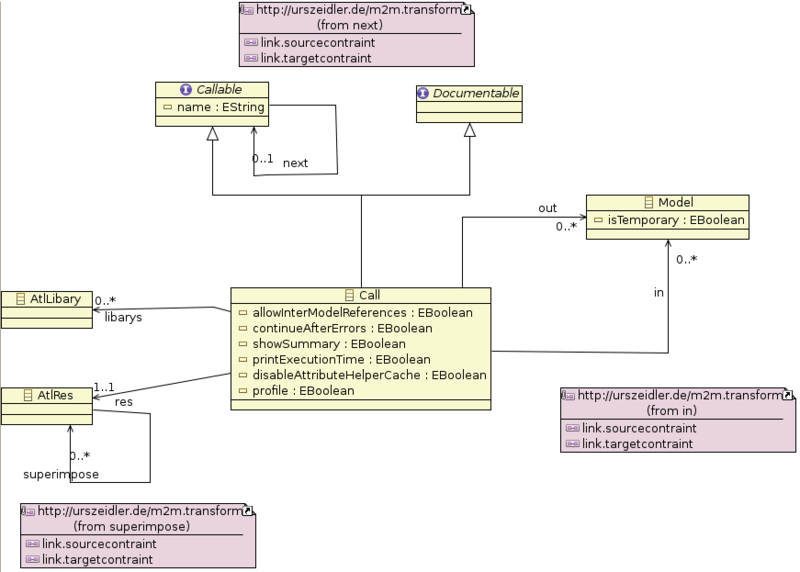 A call is an atl transformation defined by an AtlRes element as artifact it points to an valid ATL file. You can add several atl libraries and superimpose the transformation with other AtlRes elements. The call need several input models, the name of the model must match the names define in the transformation. 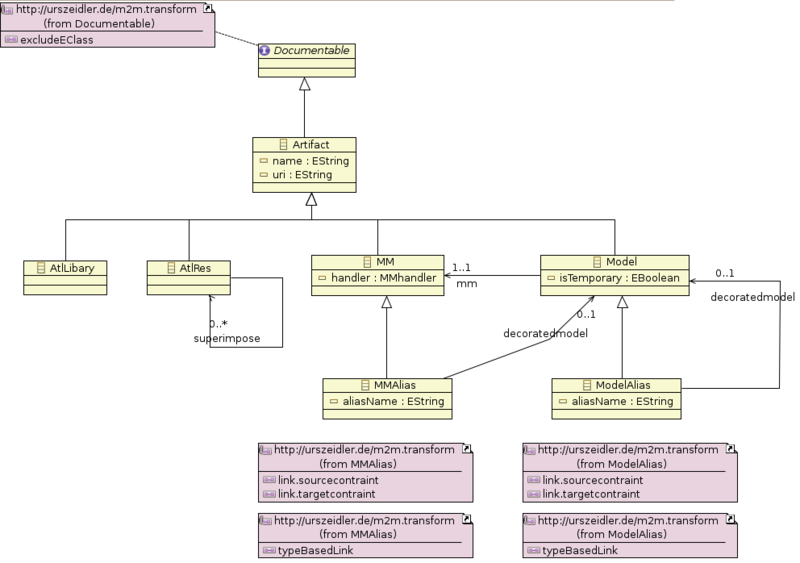 A query transformation can produce any type artifact instead of a model. The generators are normally a piece of external code, it uses artifacts and produce artifacts. Generators are define able by an extensions point <id>. So if you need an other generator type you could define it as an extra plugin. At the moment only the displayed generators are available. 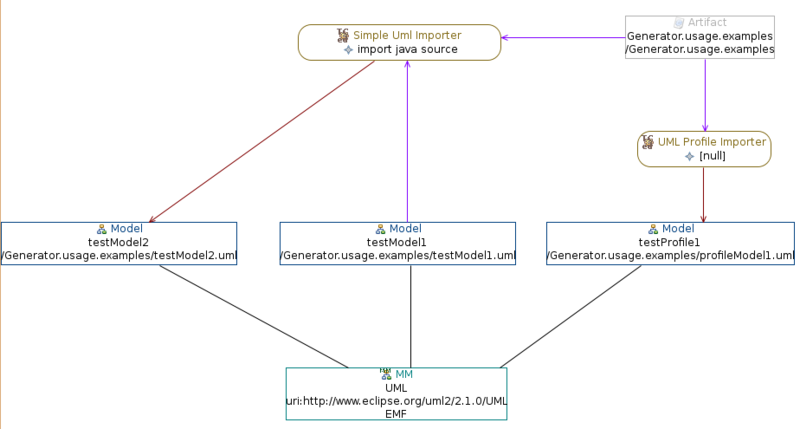 UML2java and an annotation to profile importer. 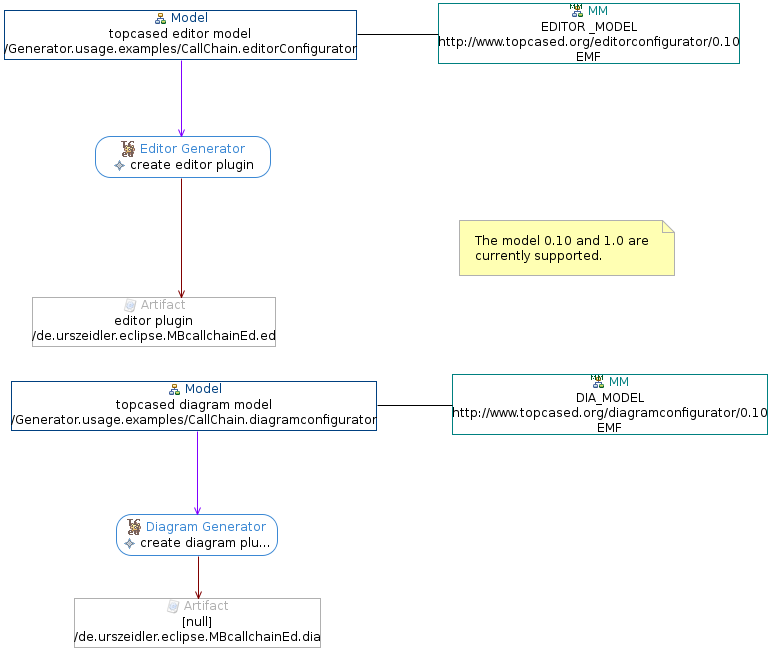 Just like the topcased importer you can add several IN models to the generator, they will be treated as model import. 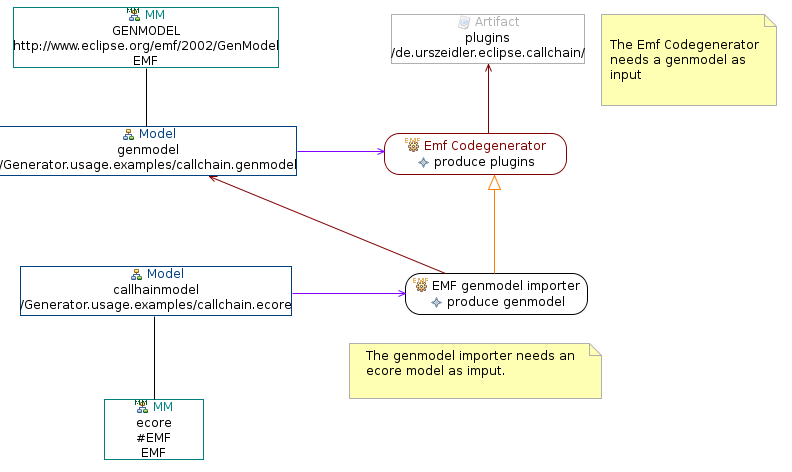 The emf to genmodel importer, and the emf code generator. The generators are deprecated in the next time when I used the generic generator in conjunction with an extensions point plugin.